"I had such a wonderful time. It was a great idea to make it an outdoor activity, and I liked the way we shared foods from each of our communities. 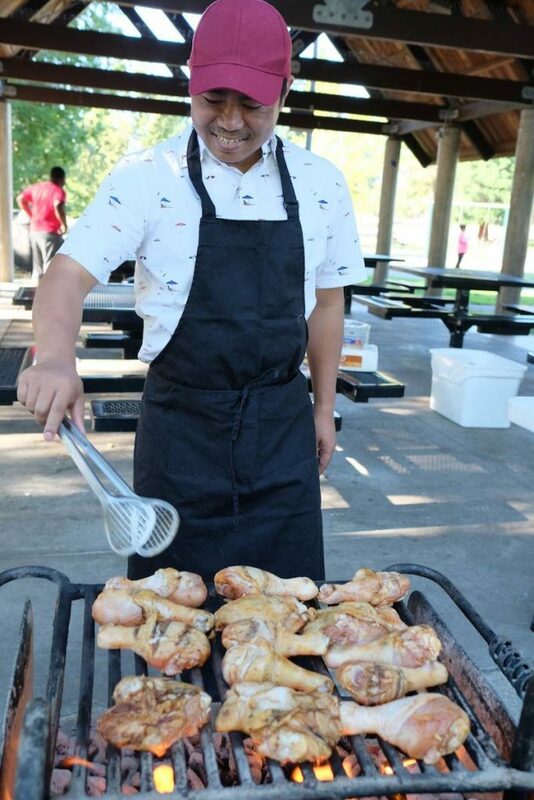 This was my first time serving food. At first, I was afraid that the people wouldn't like the foods I served. I'm glad that they did! And it was great that anyone could join. If I have another chance, I will participate again!" Thanks to everyone who came out for this great gathering! Check out more pictures on Facebook. Then mark your calendars for our next Community Kitchen Night, which will be at SeaTac Community Center on Sept. 26. My general perception is that the conference central topics were farming and projects/programs related to farming. One of the workshops that I attended talked about doing partnerships with churches that have land to offer farming opportunities for low-income families. I am convinced that FIN has to be innovative in building new partnerships. I noticed that most of the non-profits had white board members but serve immigrant and refugee communities. I like that FIN is inclusive and gives the opportunity to advocates to be part of the steering committee and being part of the voices that make decisions. However, we do need to have more visibility in the community. I think that seeing from others and learning from other organizations around will give us the opportunity to improve FIN work. I am proud about FIN diversity in the steering committee and community/partners - our mission and vision are led by the people that we serve. I like that we are listened to as FIN Advocates. The advocates are the most authentic members of FIN, they are the connection with the community and their needs. Two days after arriving in the US, Madeleine Kabena found herself in an emergency room with her five-year-old daughter, Aline. Despite how it sounds, this was exactly why Madeleine and her family applied for the Diversity Visa lottery that allowed them to immigrate. They came here to find treatment for Aline, who was born with a genetic disorder. Although her health problem doesn’t have a cure, regular treatments can vastly improve both symptoms and outlook. At home in the Congo, treatment was limited and the threat of malaria loomed daily. [caption id="attachment_1737" align="alignright" width="225"] Madeleine's daughter[/caption] While Madeleine brought her family here so her daughter could have a better life, it hasn’t all been easy. At first, it was a high to be in the United States but then reality began to sink in. There were the usual things, like learning a new language, but also some deeper issues. Food at the hospital was not good and she wasn’t finding traditional foods in her neighborhood. 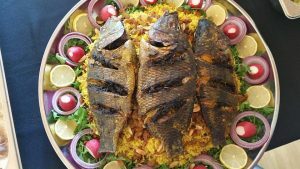 In the Congo, there are more than 200 cultures and what connects them all is the belief in good food. It is even thought that some disease can be healed through a healthy and nourishing diet. In fact, this is what Madeleine believes allowed her daughter to survive so long without regular treatments. 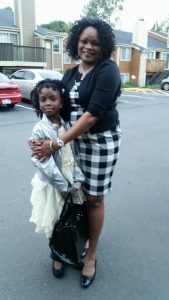 [caption id="attachment_1744" align="alignleft" width="169"] Madeleine with her daughter[/caption] By searching for culturally appropriate foods, Madeleine discovered a distinct lack of Congolese shops, restaurants, or even organizations in King County. In all her asking around for connections to food, she eventually met a Congolese man who called himself a ‘Community Food Advocate.’ Madeleine was intrigued and hopeful. Over the first few years in the US, she worked as a caregiver at Wesley Homes. Her first profession was as a lawyer but her degree didn’t permit her to practice in the US. 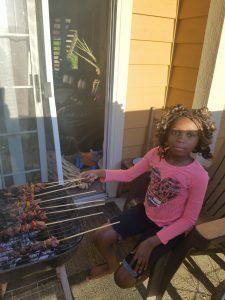 Becoming an advocate with FIN allowed her to represent people again while also building food connections for her community. 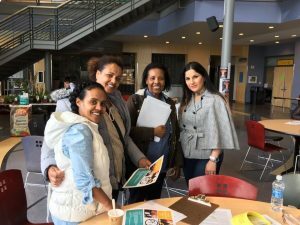 SeaTac Course in English English: Calling all entrepreneurs and aspiring entrepreneurs in South King County! Do you have a business idea you’d like to pursue, or an existing business you’d like to grow? 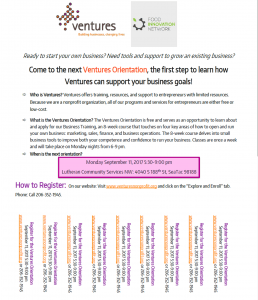 Register for the Ventures Orientation in SeaTac on Monday, September 11! Ventures and the Food Innovation Network are partnering to offer the first-ever business training in SeaTac. You’ll get an opportunity to learn about our program for small business owners with limited resources and apply for our 8-week Business Development Training course. The orientation is free and will be at Lutheran Community Services NW in SeaTac: 4040 S 188th St., SeaTac, 98188. Registration is required to attend, so click here to register now or call 206-352-1945 to register via phone or for more information. One thing Zozan’s family has taught her is not to be afraid. But as a refugee, she hasn’t always been able to freely go after her dreams – even after making it to the US. Her family came this country as refugees from Iraq when Zozan was in middle school. By high school she dreamed about becoming a pediatrician and was on track to receive her green card and enter college. [caption id="attachment_1430" align="alignright" width="300"] Zozan with fellow advocates. [/caption] A clerical error over a date in her documentation caused all of that to be put on hold. She spent the next five years in legal limbo – all documentation had been revoked. 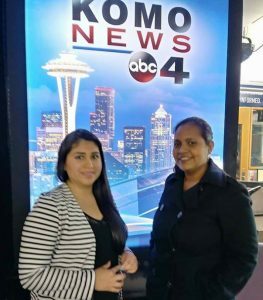 And while her siblings all received citizenship, she was working with an immigration lawyer. Deportation loomed as an ever-present threat. Immigration officials told her not to worry, that in the event of deportation she would receive $200 and a plane ticket to Baghdad. As if a small amount of cash and a plane ticket to an unfamiliar city felt reassuring. In the end, she was approved for a green card with the condition that she would never visit the middle east. During this process, Zozan learned the power of helping people gain a voice. Just hearing other people’s stories and volunteering allowed her to forget her own problems for a short time. 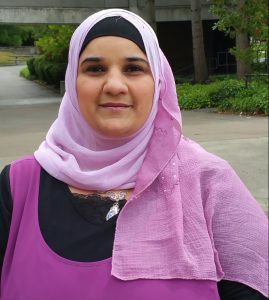 She found herself providing language support to newcomers and soon after became a medical interpreter. [caption id="attachment_1441" align="alignleft" width="300"] Zozan with her sisters. [/caption] While she still thinks about going back to school, her dreams now are a little different that they were in high school. Instead of children, she is now more focused on supports for refugee parents. Kids learn faster than their parents and are the focus of a lot of support already. Zozan believes parents need a lot of extra support in cultural and language barriers. 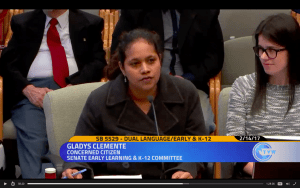 For now, she does this through medical interpreting and as an assistant teacher in the ESL department at Highline College. “If someone needs help and I can do it, I will be there. 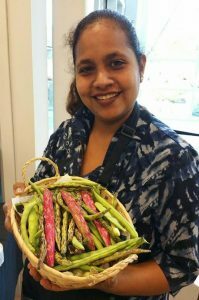 If I can’t do it, I will try.” In her spare time, Zozan runs a catering company with her sister and advocates for food system change in South King County. Becoming a FIN Food Advocate was a natural fit because she is passionate about helping people see their options and keep moving toward the future. She and her sister have also received training and help in their business through FIN. “You get and you give,” she says, “it’s a circle that way.” She asks us all to be open to possibility, if you don’t try new things and ask for help you will never get what you want. 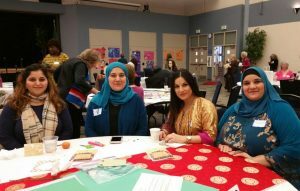 FIN’s newest staff member shares views on cultural identity as an Iraqi-American.